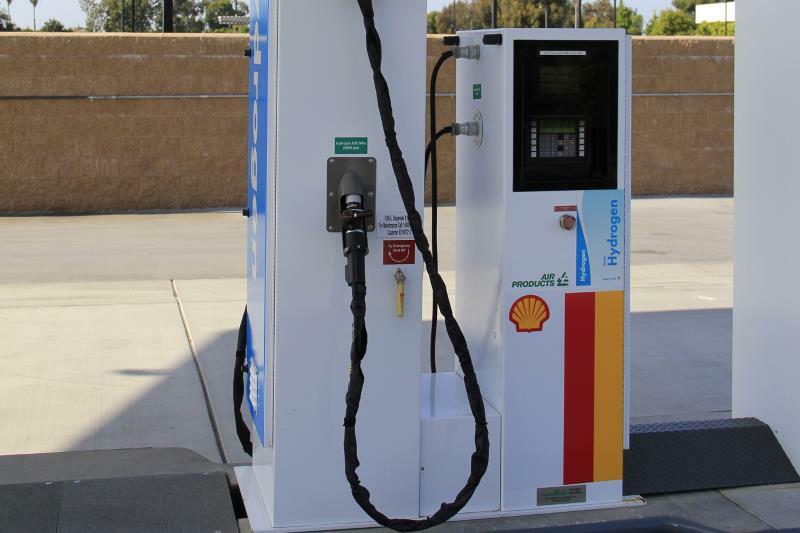 The California Energy Commission earlier this month awarded a $2.3 million grant for hydrogen refuel pumps to be built at the Shell gas station on the corner of Auburn Boulevard and Greenback Lane in Citrus Heights. The grant is part of an effort by the state to help expand California’s network of refueling locations for the emerging green technology, which is currently being used to fuel a small number of vehicle models. Alison Bermudez, an associate planner with the city’s planning division, said the local fuel station project was submitted for review last week and will likely be approved “in the next month or so,” with an actual opening date expected in 2018. She said the project will not need to go before the planning commission and will only require a design review permit. The $2.3 million grant was awarded on Aug. 8 to Equilon Enterprises LLC, which does business as Shell Oil Products US. According to a news release from the energy commission, six other grants were also awarded to Equilon on the same day, each for $2.3 million, to construct six more hydrogen refuel stations in Northern California. There are currently 29 retail hydrogen refuel stations open in California, located primarily in the Bay Area and Los Angeles — with the nearest location being West Sacramento. A project description submitted to the city says the local refuel station “creates a tremendous opportunity” for citizens in Citrus Heights to operate hydrogen fuel-cell powered vehicles. The description says a pair of hydrogen fuel dispensers will be constructed at existing fueling islands “to allow for a similar fueling experience as existing gasoline sales.” Additional equipment will be located in an enclosed area, with hydrogen fuel delivered to the site and stored in compressed gas storage bottles above ground. Grant funding for the project comes from California’s Alternative and Renewable Fuel and Technology Program, which provides as much as $100 million annually for “innovative transportation and fuel technologies that help California meet its energy, clean air, and climate-change goals,” according to the commission’s website. Melissa Jones-Ferguson, an information officer with the state’s energy commission, told The Sentinel that state grants are awarded through a competitive process where each proposal is scored based on various evaluation criteria. Hydrogen-run vehicles are classified as zero emissions vehicles and combine the technology of electric cars and traditional gas powered vehicles. They are filled at specialized refuel stations, which contain pressurized hydrogen. The cars can take as little as 10 minutes to fill, and they then combine the hydrogen with oxygen to power their electric motors. The vehicles are hailed as environmentally conscious because the only byproducts they produce are oxygen and heat. Several leading vehicle manufacturers offer hydrogen fuel cell models, including Toyota, Honda, Hyundai, Chevrolet, Nissan, Mercedes-Benz, and Audi. Help make more local stories like this possible with a $3/mo. subscription to The Sentinel: Click here.